Even with a good portion of their team playing basketball in the Philippines, the defending champion FD Friars showed little to no rust as they dispatched the home team Guam High Panthers in straight sets 25-12, 25-18 in IIAAG boys volleyball. Wendy’s Player of the Game Aiden McDonald. Friar Aiden McDonald registered seven kills, four in the first and three in the second, to pace the dangerous FD offense. 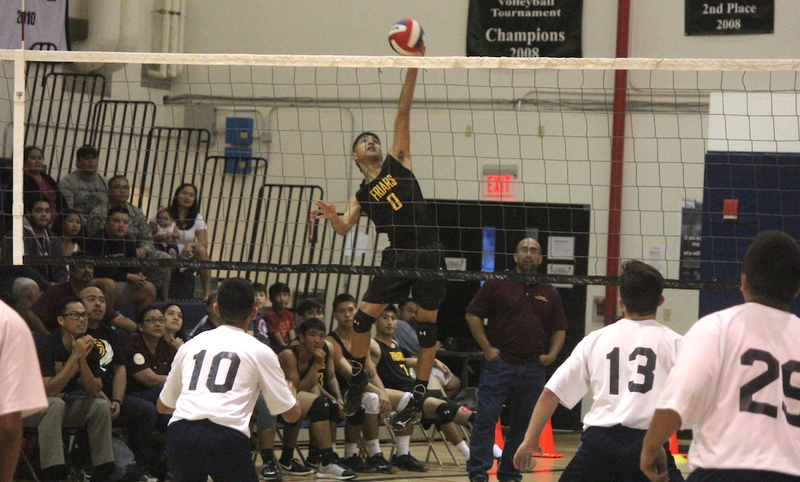 Teammate Noah Diaz ended the night with three kills and a block as FD deployed a heavy rotation in between sets. The first set was all FD as Diaz and McDonald went into seek-and-destroy mode, unleashing kills that some fans had to turn away from due to it’s graphic nature, as FD jumped out to an 11-4 lead. The Panthers proved some fight midway through the set behind serving from the freshman Joshua Bamba, shaving off three quick points to get within 13-9 before a net error gave momentum right back to the Friars. McDonald went to infinity and beyond on his fourth kill of the set, placing his nasty shot right through the middle of the defense to cap off a 5-0 FD run, eventually ending the set with errors from Guam High 25-12. The second set was back-and-forth to begin as the Friars started their platoon swapping. McDonald got his third kill of the set to take a 13-11 lead, giving FD the spark needed to finish off the set. Outsider hitter Enrique Untalan and middle Brandon Mendiola added kills in the final few points to give FD their first win of the 2017 season. After winning the title in 2016 while flying well under the radar, the Friars know the targets are on their backs, but they don’t mind it. “We’re definitely playing with a lot more confidence, especially with how ‘stacked’ we feel the team is,” ended McDonald.